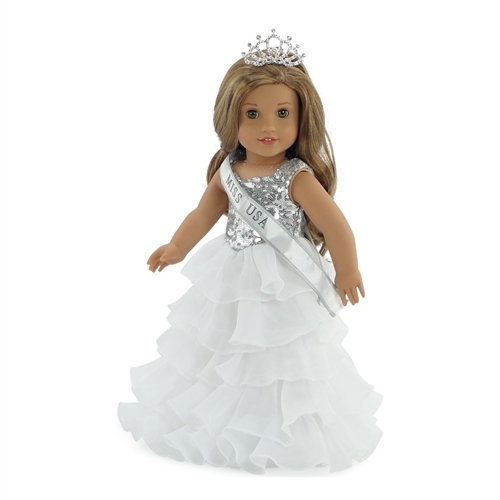 Made to fit 18 Inch dolls such as American Girl, Madame Alexander, Our Generation, Journey Girls etc. 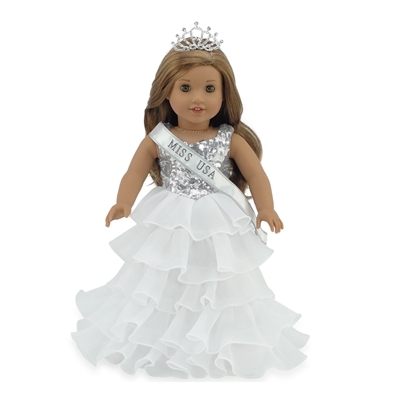 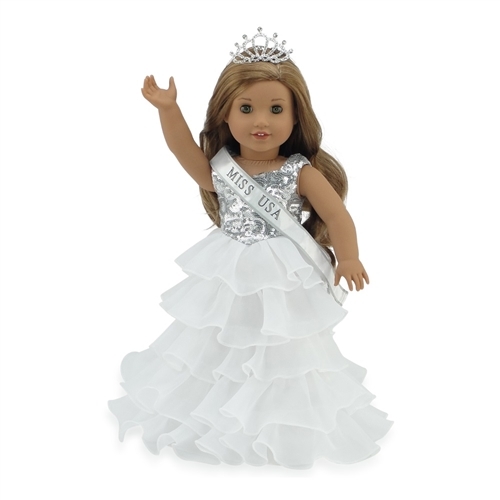 Your 18" doll will be the most beautiful doll at the pageant in this lovely floor length white, sparkly dress, with plenty of beautiful ruffles! 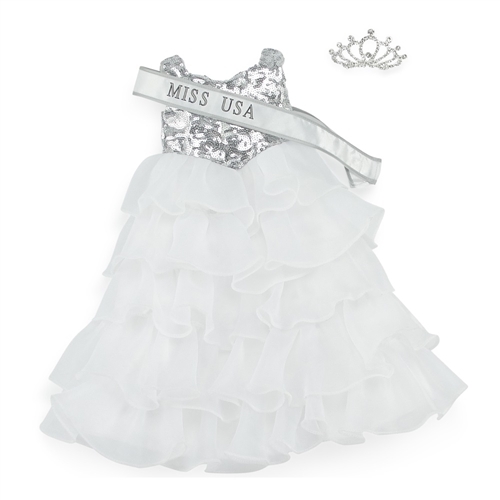 Includes satiny white "Miss USA" sash and beautiful jeweled crown!